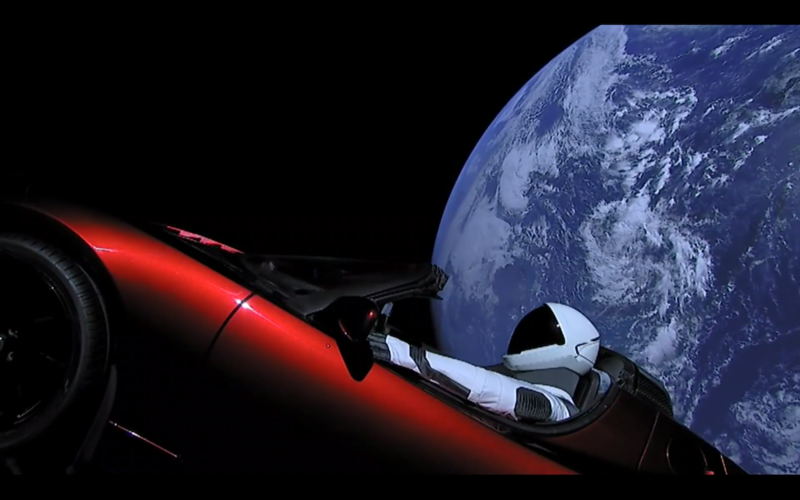 A Tesla Roadster goes, where no electric vehicle has gone before. 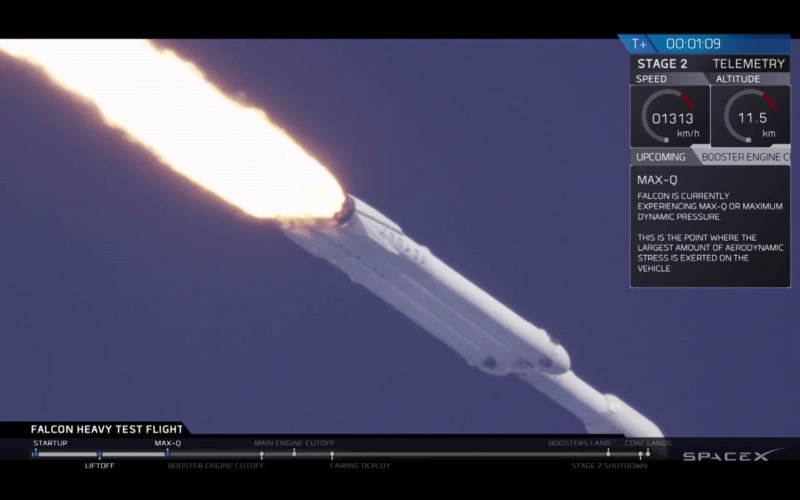 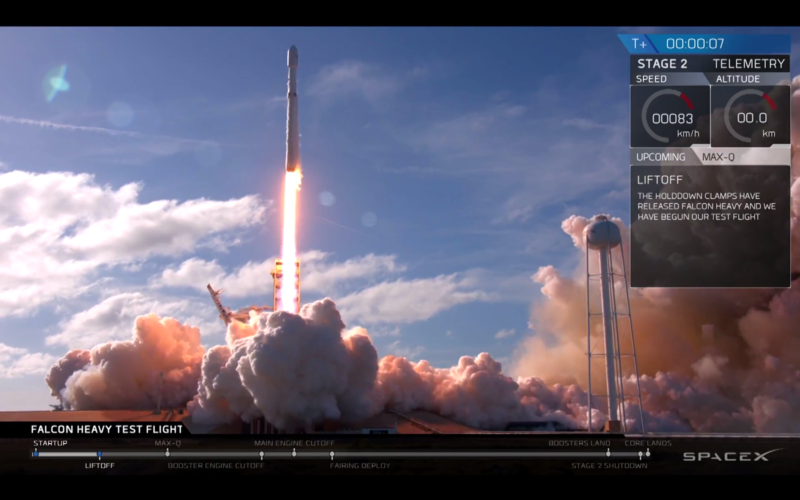 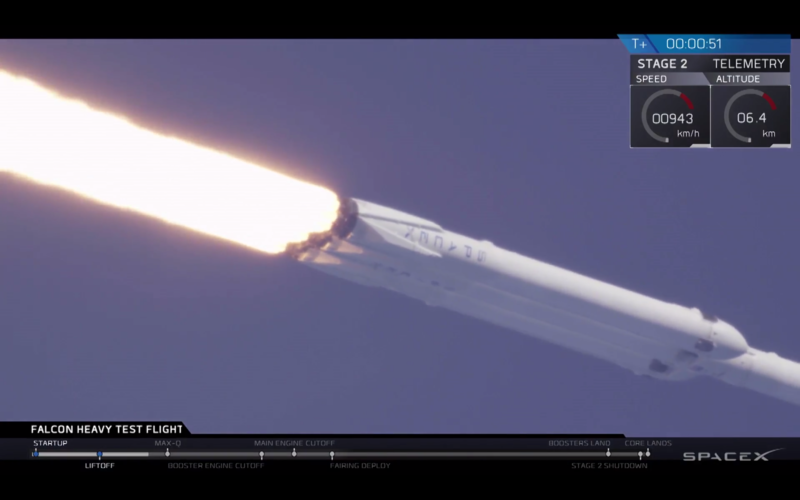 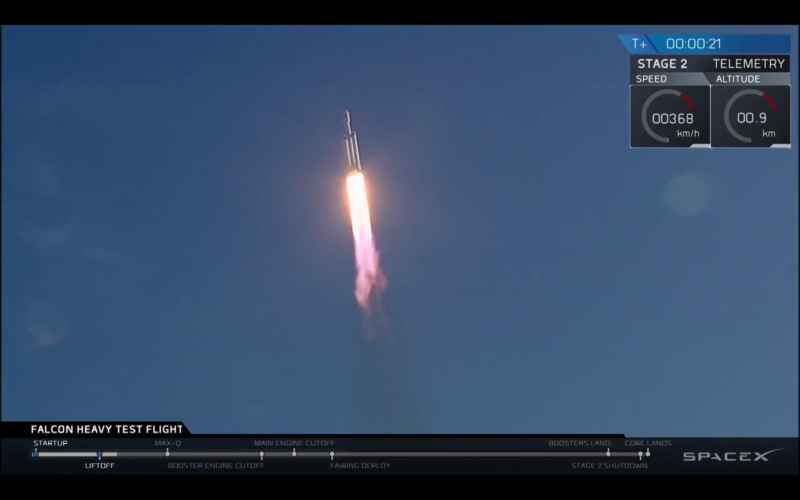 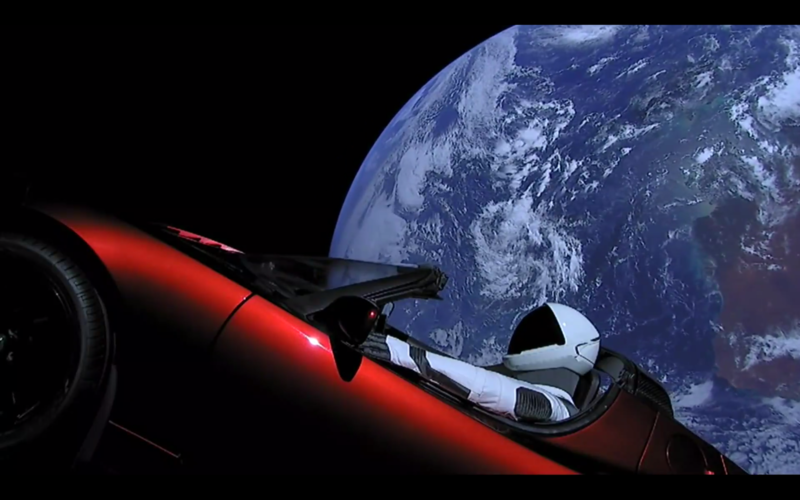 SpaceX, Elon Musk’s side-project to save the planet, launched with the test start of the new powerful rocket Falcon Heavy a cherry red Tesla Roadster from the first generation into space. 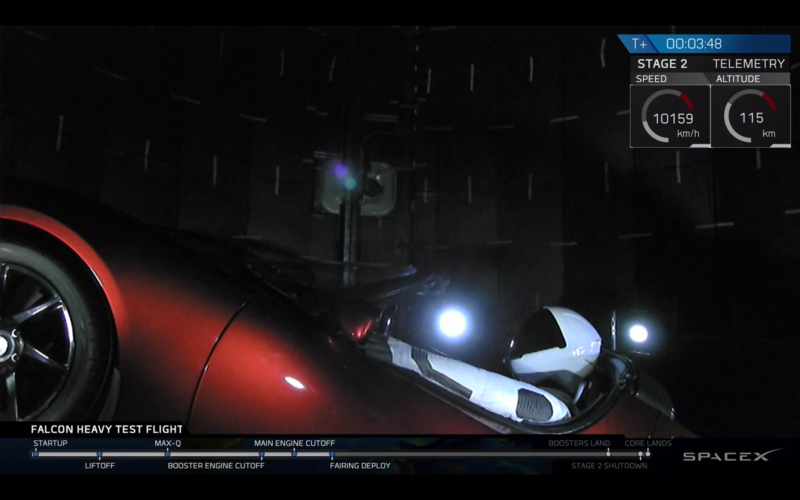 The car is manned by Starman, named after the David-Bowie-Song Space Oddity. 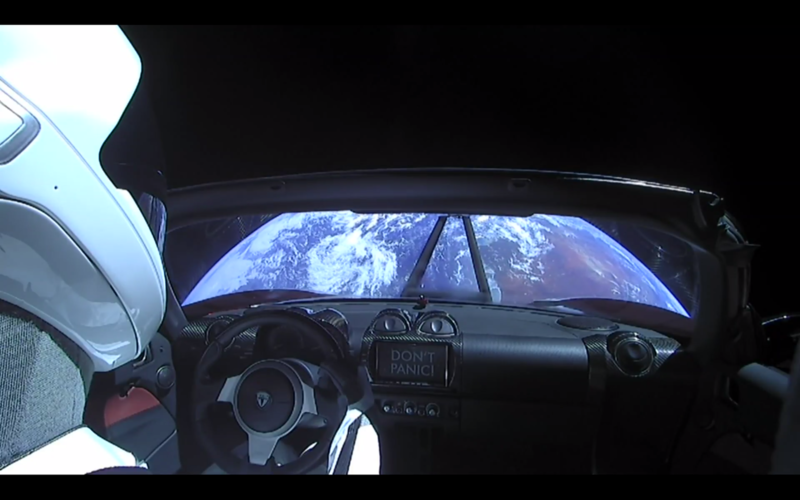 But worry not! 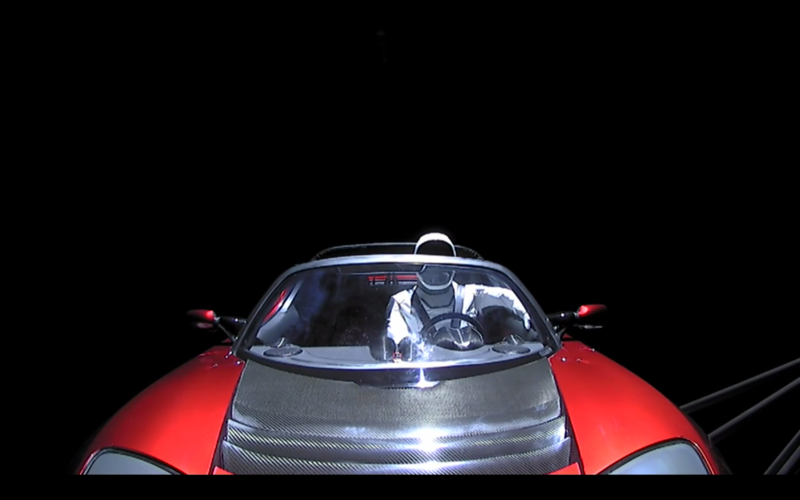 Starman is not human, it’s just the empty space suit that SpaceX is going to use for future manned missions. 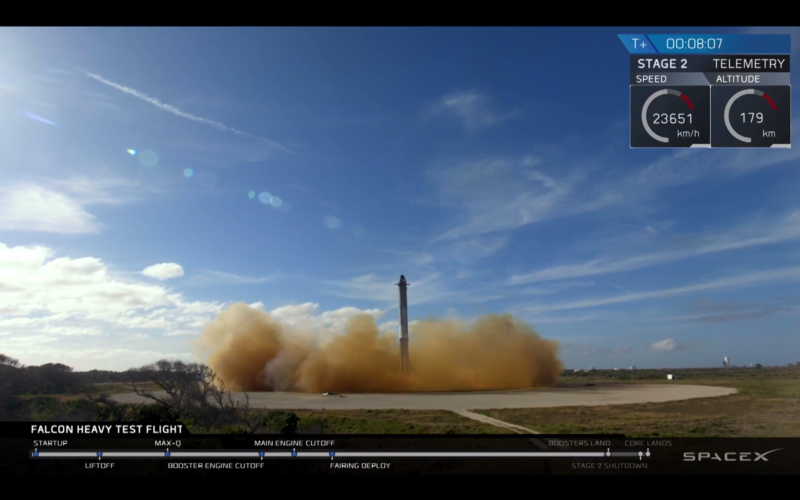 The launch was successful, even two of the three booster rockets landed successfully. 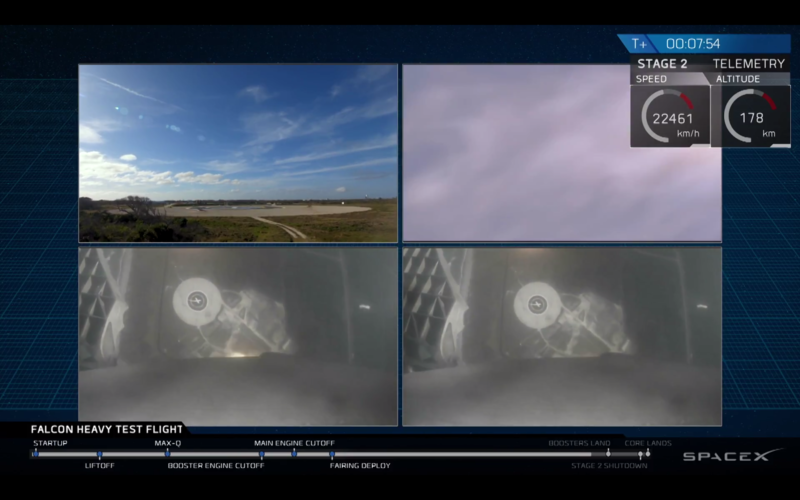 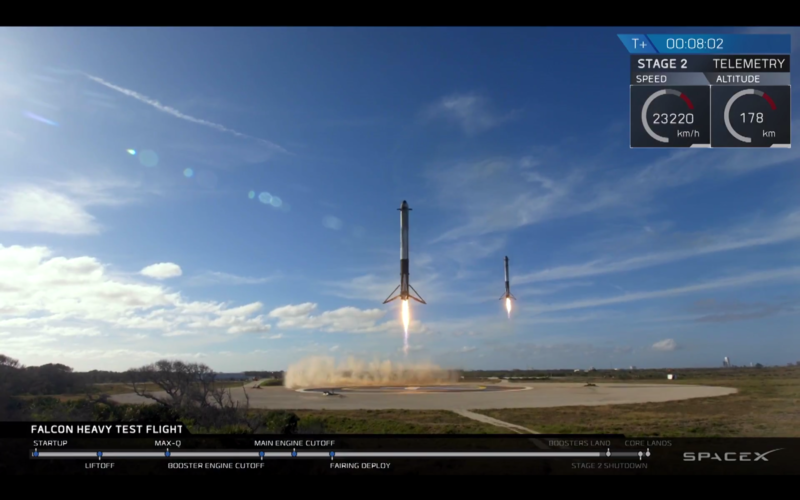 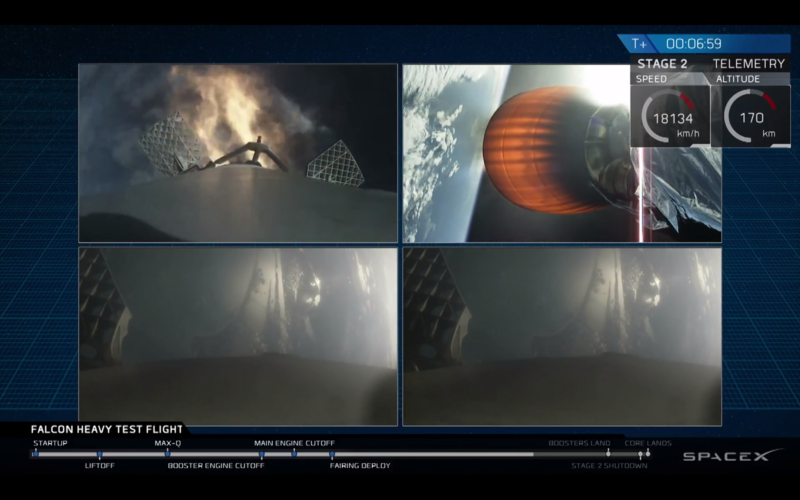 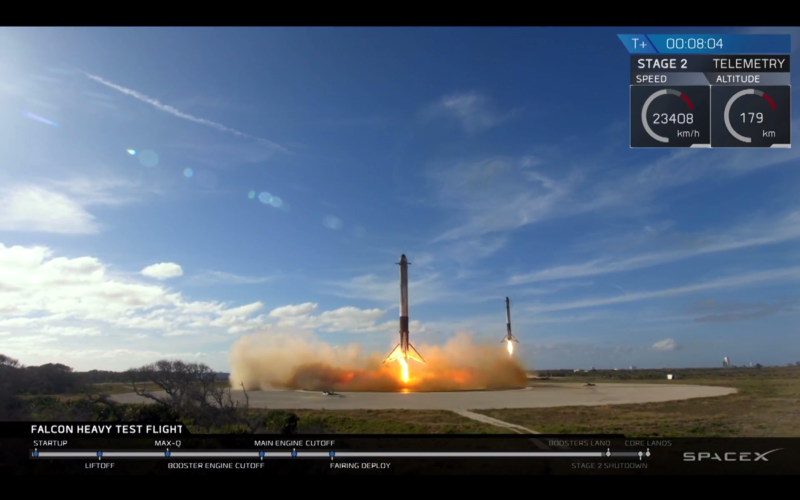 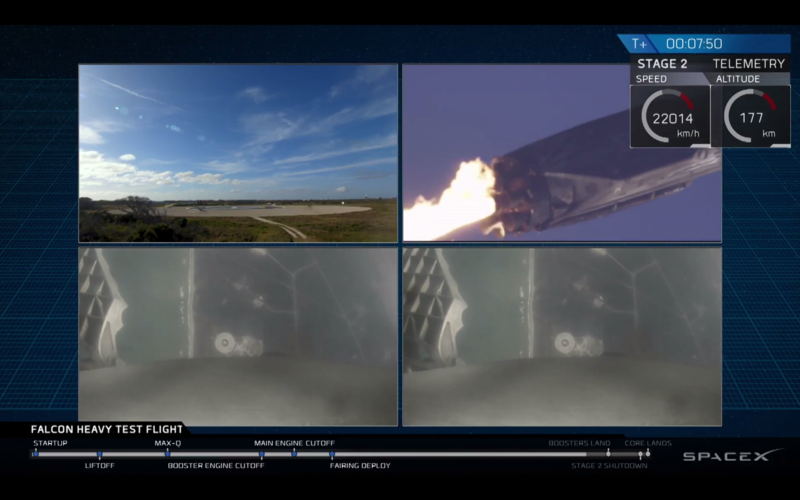 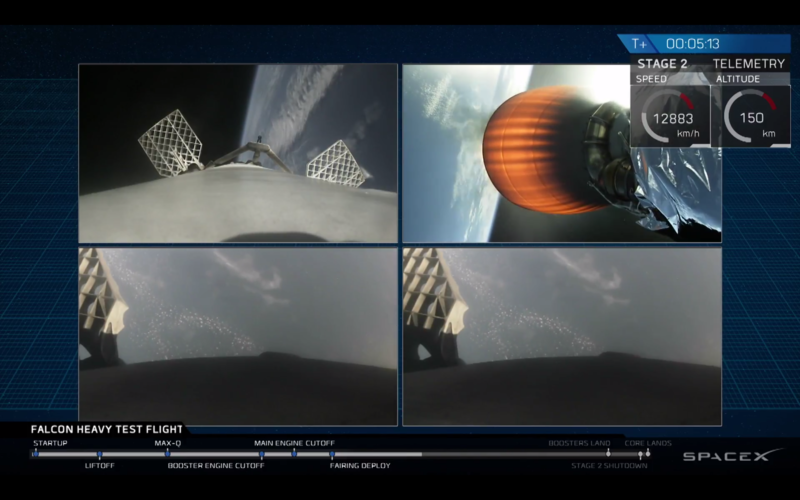 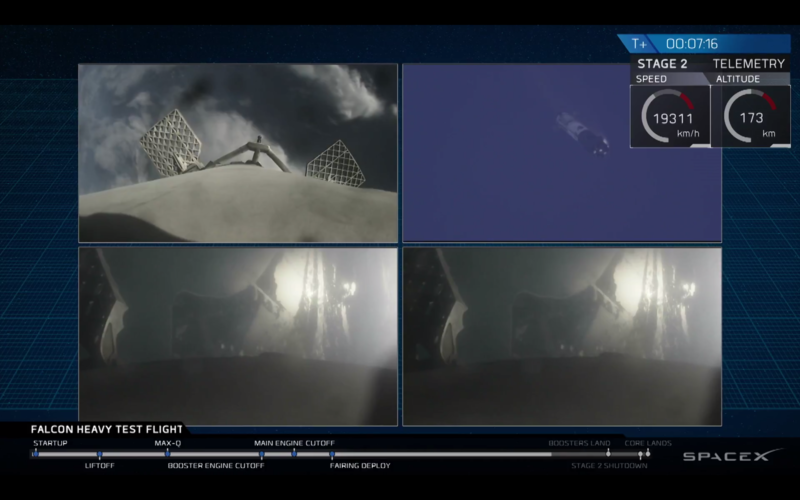 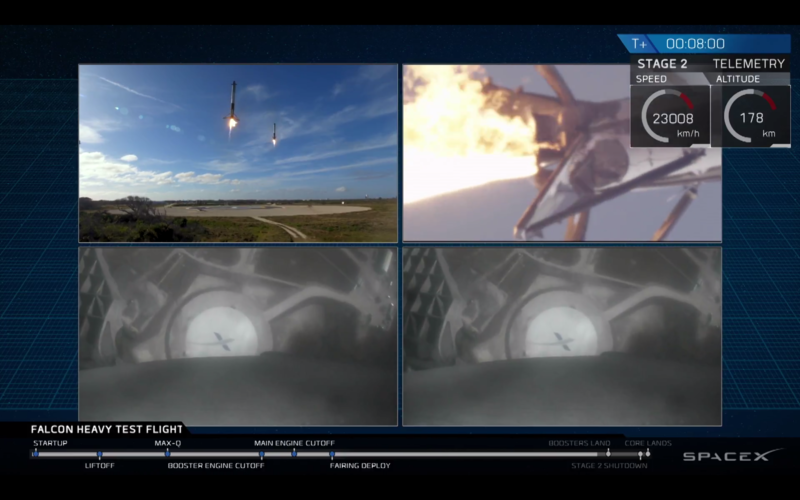 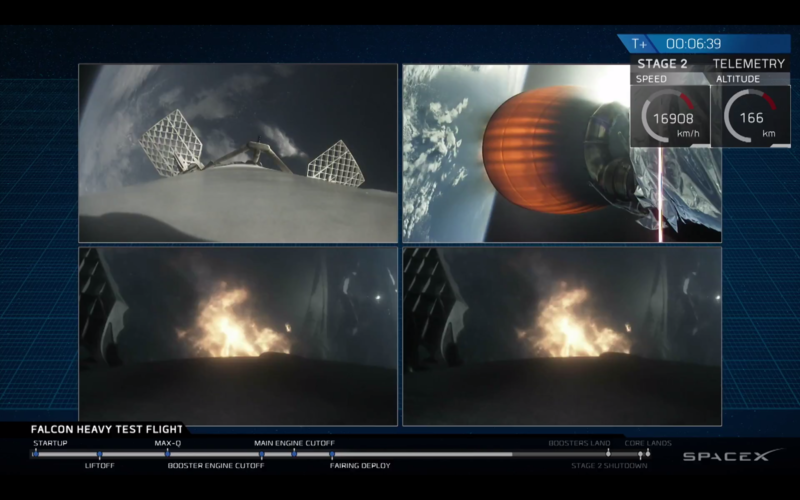 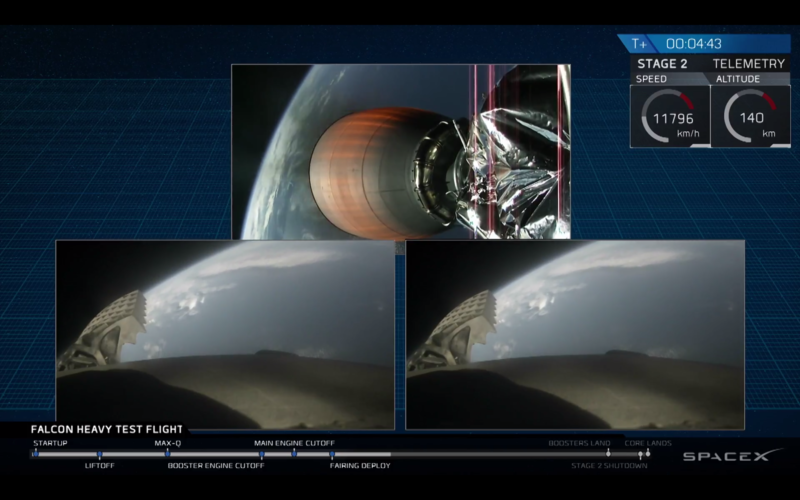 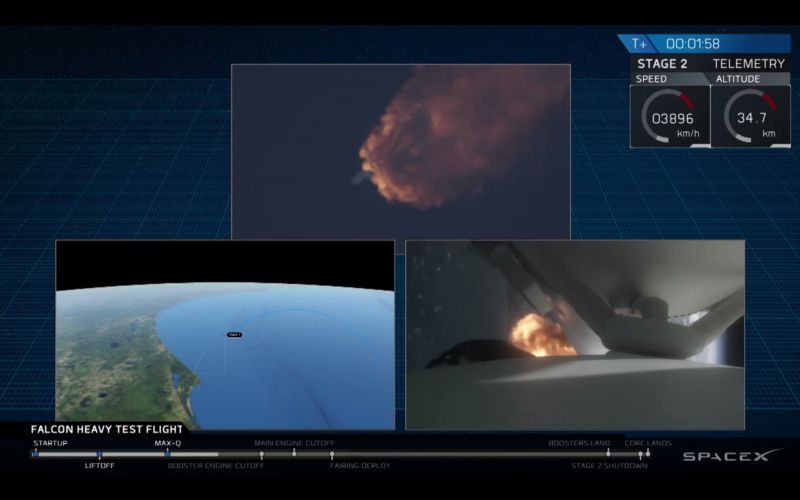 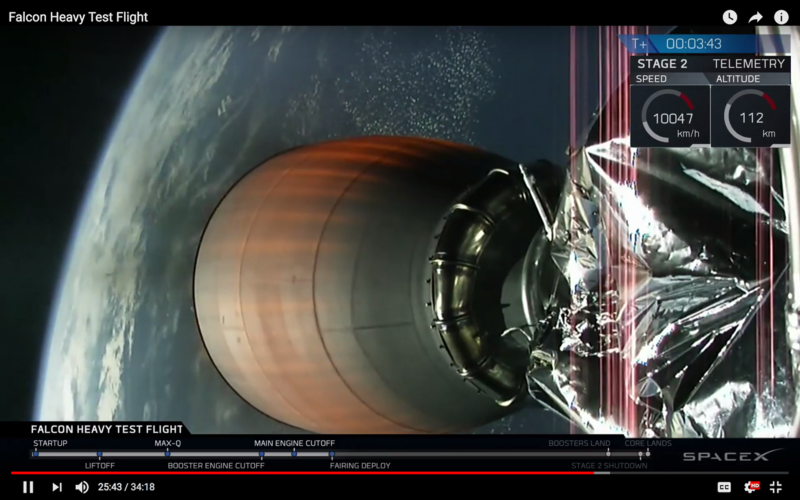 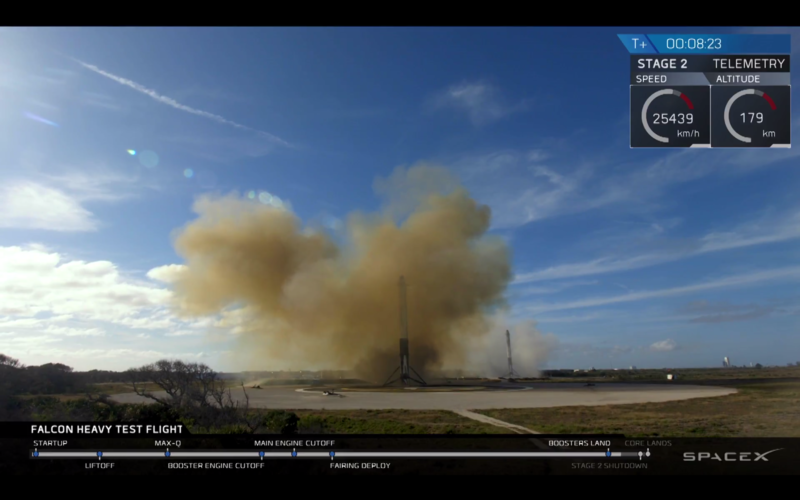 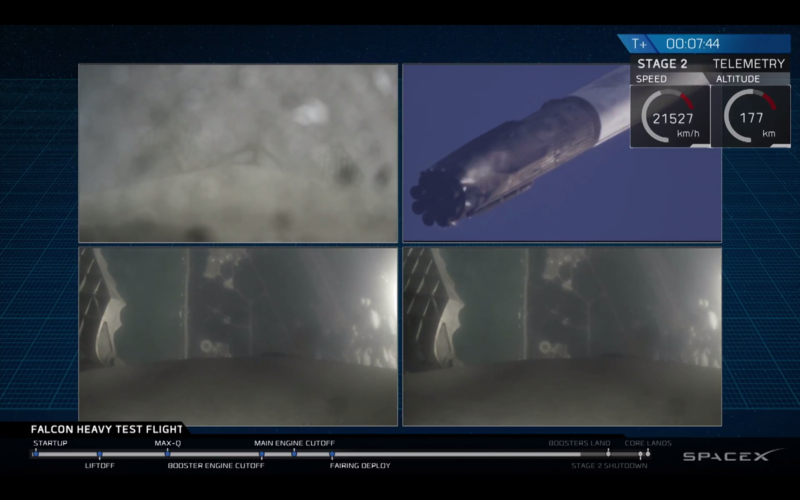 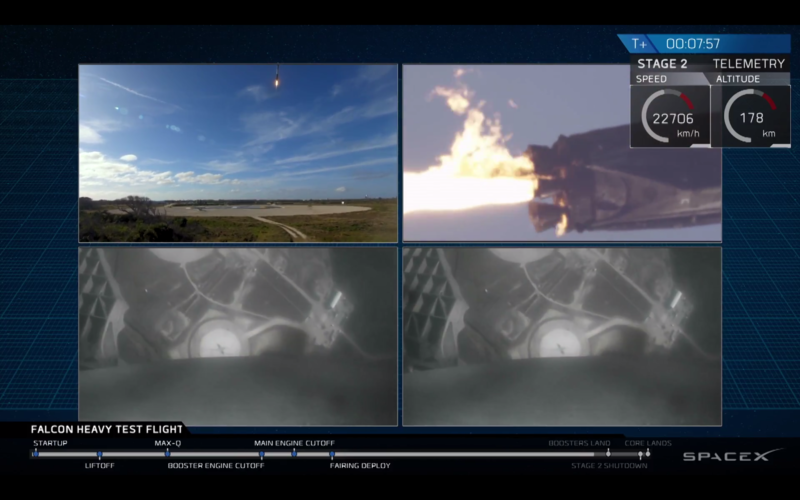 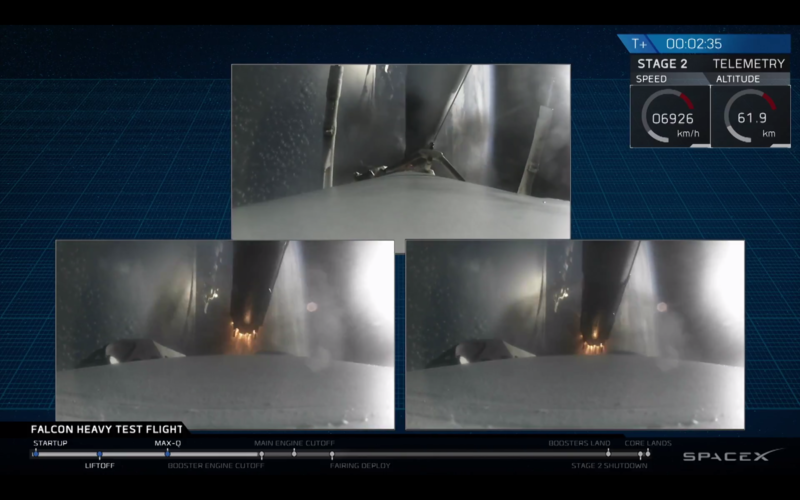 Both side boosters returned in a synchronized ballet. 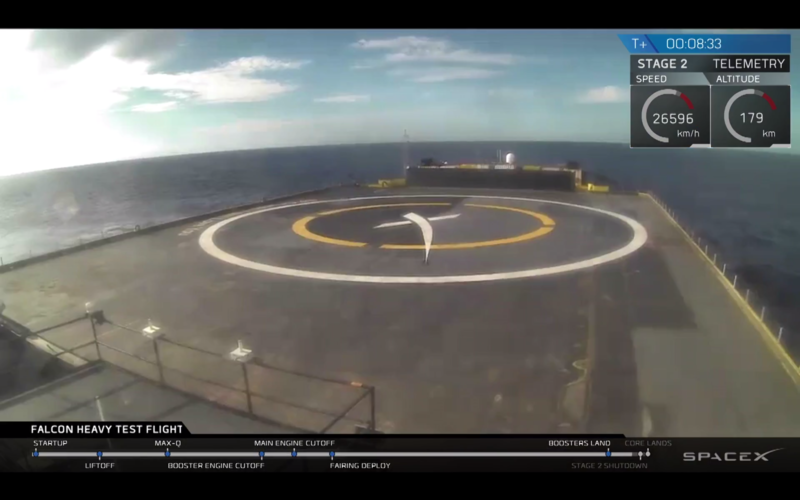 Only the core booster, that was supposed to land on a drone ship 300 miles from the coast of Florida, crash landed. 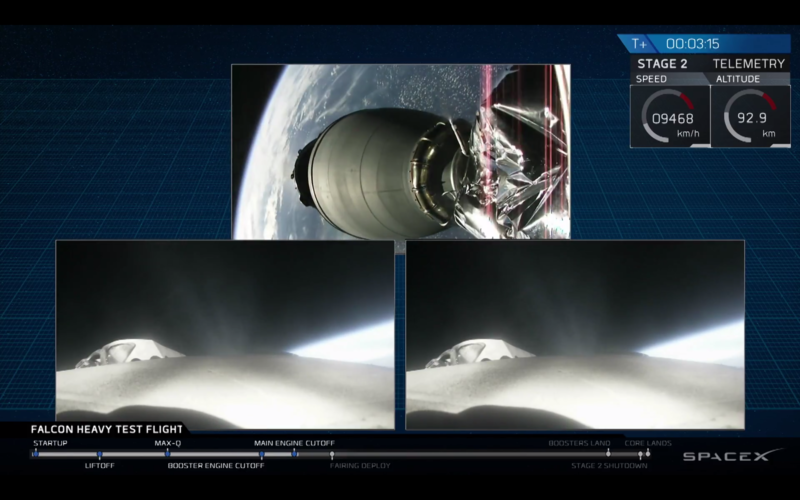 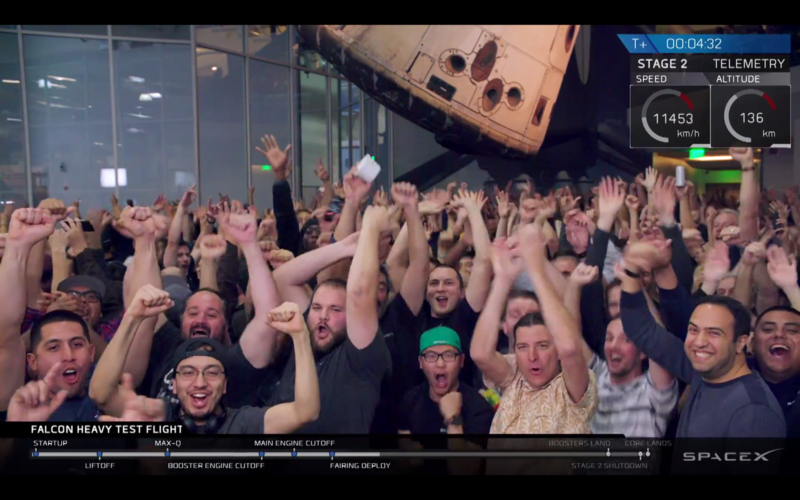 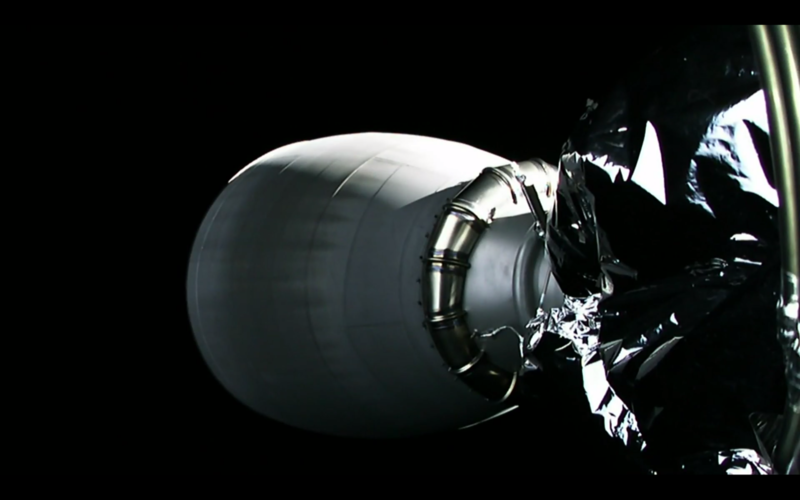 The load with the second stage was released successfully into space. 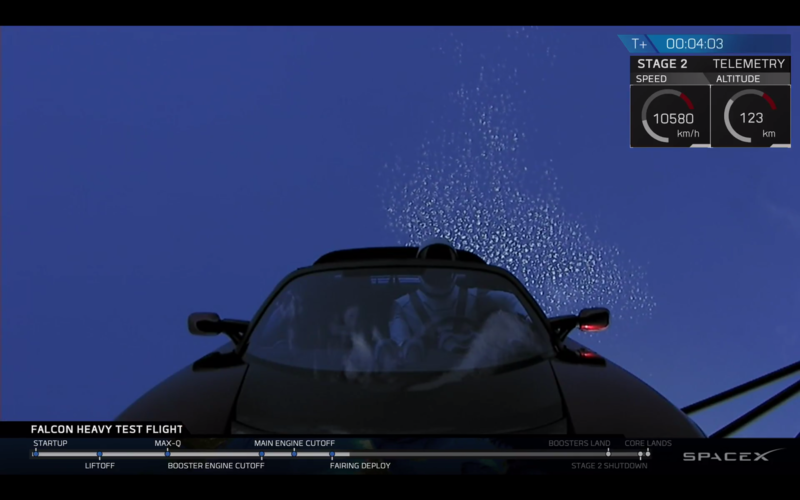 Normally, the load for such test flights are mostly concrete blocks or other ‘dead weight.’ But Elon Musk wanted to send something more interesting up there – his own Tesla. 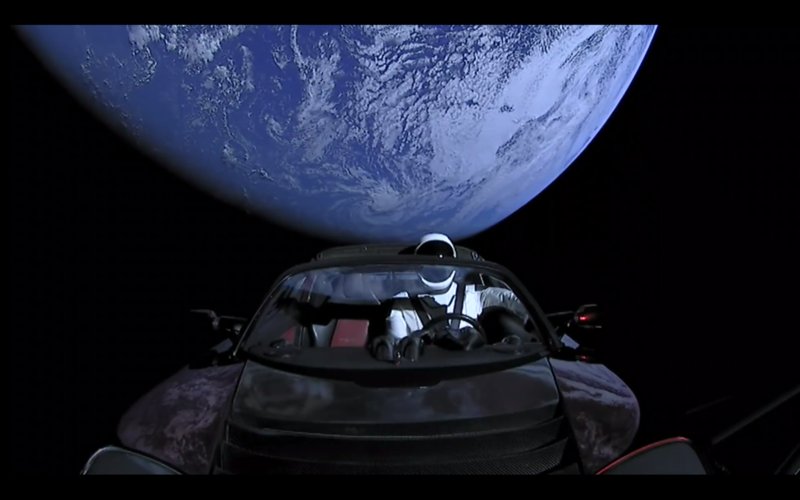 Now Starman in his Tesla is on his several hundred million year long way into space. 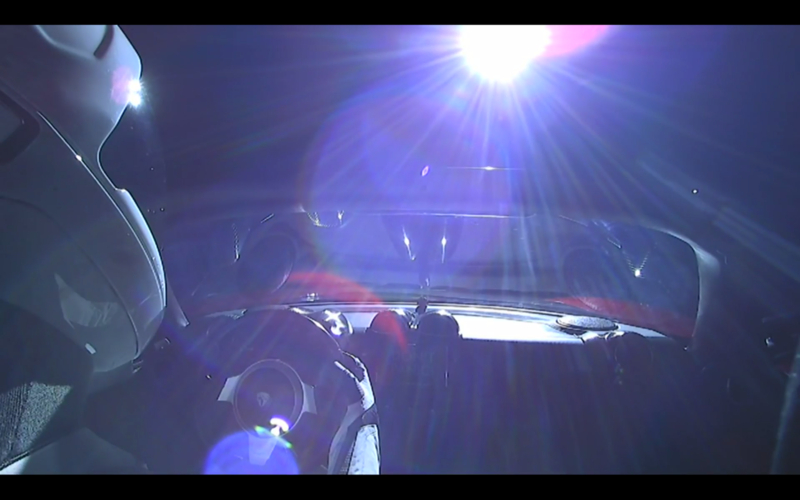 Here are some impressions from the Starman-live-stream . 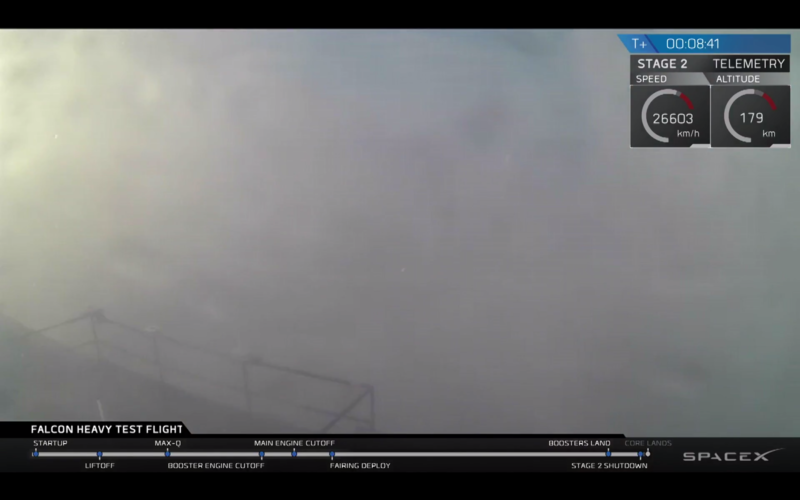 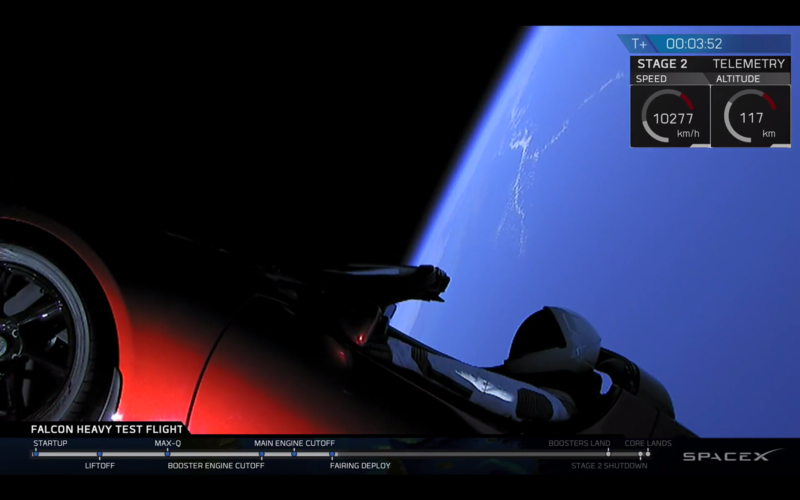 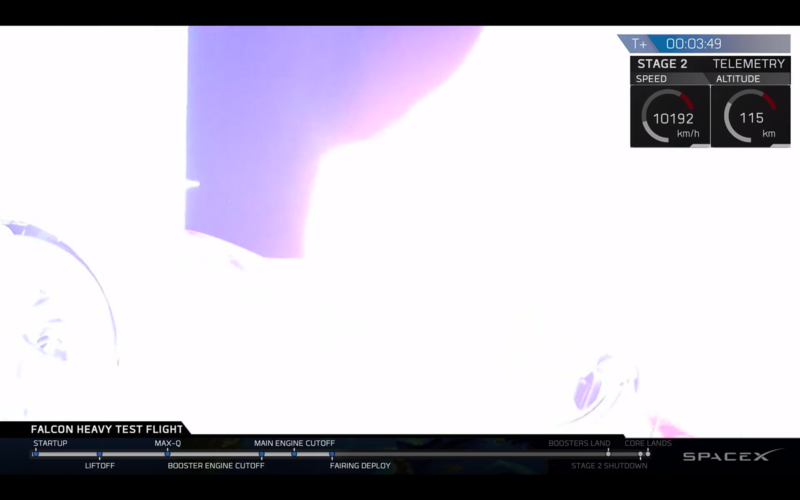 Here is the live stream of Starman on his way to Mars. 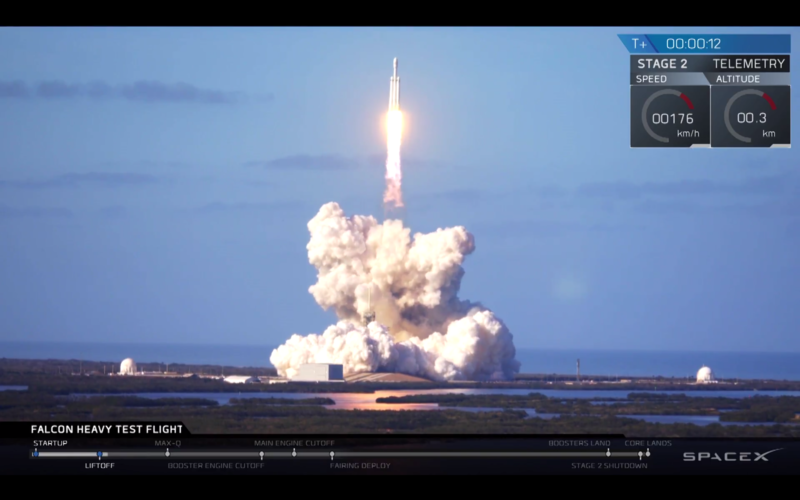 And here again the video of the test launch of Falcon Heavy for re-viewing. 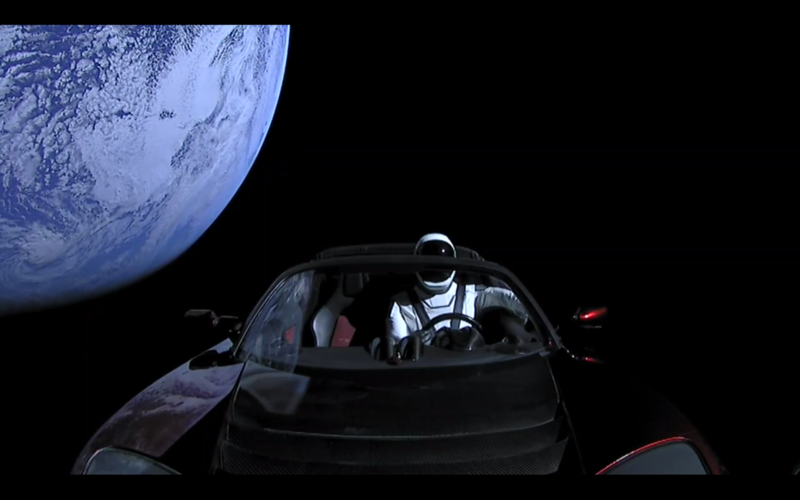 Please update this page monthly with trajectory and what’s expected to happen to Starman!